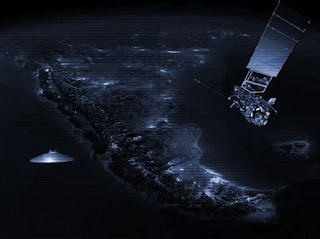 Chilean Ufologist Luis Sanchez Perry stated that the program "showed an infrared image taken by GOES-8 on July 17, 1992, clearly displaying a disk-shaped object in outer space over the Pacific Ocean to the west of Chile." The July 1992 image was taken by Servicio Aereo Fotometrico Ltda, an aerial photography company located in Santiago de Chile, the nation's capital. "The lines visible in front of the UFO correspond to electromagnetic interference emanating from the UFO itself," Sanchez explained. 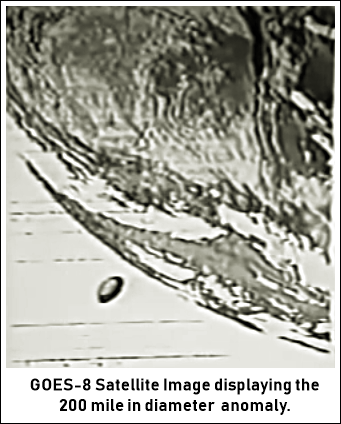 At the moment the image was recorded, GOES-8 was in a 21,600 mil geostationary orbit above the Earth. The enormous disk appeared to be moving at the same orbital speed as the satellite - approximately 6,696 miles per hour. "Three images were taken in 10 minute intervals and the UFO was clearly visible," Sanchez added. The second GOES-8 video was recorded on 7 April 1996. Although the image vanished quickly from the GOES-8 website, it was downloaded by the Centro Meteorológico Regional de Antofagasta (Chile). The image shows "the UFO over the Atlantic to the east of the Brazilian coastline." The GOES-8 imagery was debated by two ufologists during the broadcast: Dr. Mario Dussuel of the Comité de Estudios de Fenómenos Aéreos Anomalos (CEFAA) and Rodrigo Cuadra of the Equipo Superior de Investigación Ovnilógica (ESIO). CEFAA is Chile's national official study group, composed by government agencies and the Chilean Air Force. 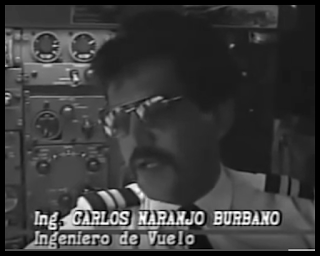 "We had an experience when we were on our way back from Santiago de Chile on a routine flight, Santiago de Chile to Guayaquil, with general Duran, and at the time the pilot was Captain Fosso. For more or less 15 minutes we were accompanied by an object we were unable to identify as to whether or not it was extraterrestrial. At a distance of 150 kilometers from land, as we were flying over the sea, we could see below us what looked like a city. A satellite city, if you will. A section where everything was normal, but this was under the sea. We were traveling at an altitude of some 33,000 feet, and it was clearly visible, a city, right there. We were able to see buildings in the dark, in the early hours of the morning. Yes, we saw lights, under the sea, bright lights indicating the presence of a city down there. 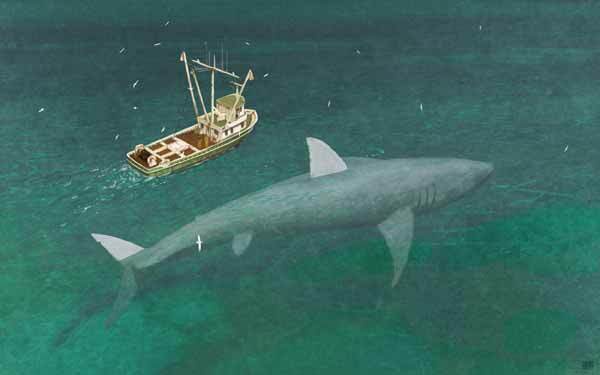 It was definitely under the sea, since we were 150 miles offshore." Publicado por Terra Incognita en 10:36 p. m.